Περιγραφή Discover a new level of fine writing expertise with Sheaffer® Stylus Collection, available in three contemporary and stylish finishes that will have you swooning over paper and tablet! In a fast paced and demanding digital era, Sheaffer® Stylus Collection is the ultimate choice for a seamless transition between your capacitive touchscreen device and paper. Whether you’re in a meeting at the office or a seminar in school, Sheaffer® Stylus Collection brings you an effortlessly easy experience. Sheaffer® Stylus Collection features a comfortable slim profile, a textured resin grip, and contemporary finishes that are refillable with Sheaffer® “T” ballpoint refills in medium point grade available in blue or black ink. 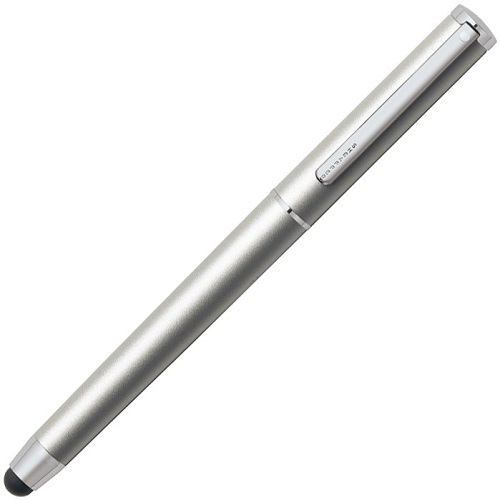 Each writing instrument features the “White Dot®” symbol of quality and excellence. Embrace new technology without sacrificing style, comfort, or the quality you expect in a Sheaffer® writing instrument. Each Sheaffer® Stylus is presented in a Sheaffer® Luxury Gift Box with a Limited 1 Year Warranty.